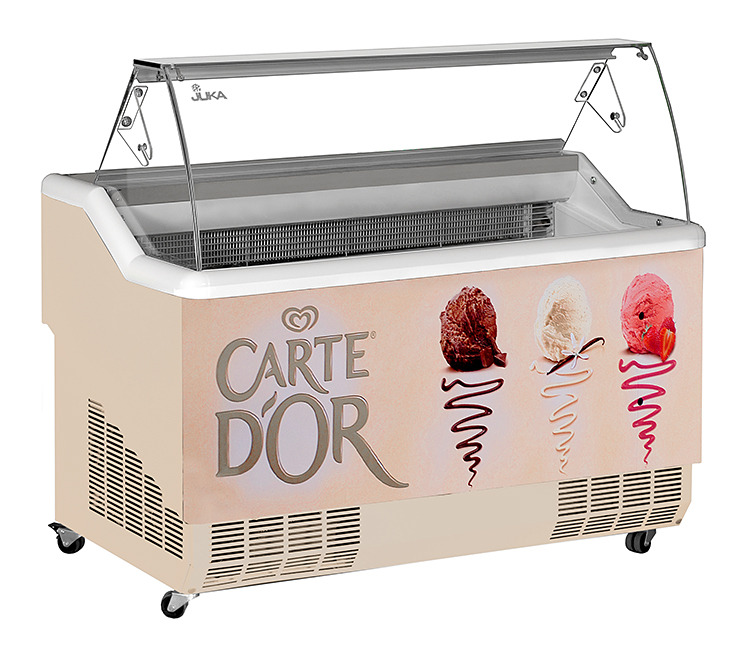 K-1 CS 7 CALIPSO ice cream counter for 7 flavours. It is contstructed from paint-coated steel. It is equipped with dinamic cooling, automatic defrost, side glass heaters, led lighting, stainless steel worktop, night curtain.